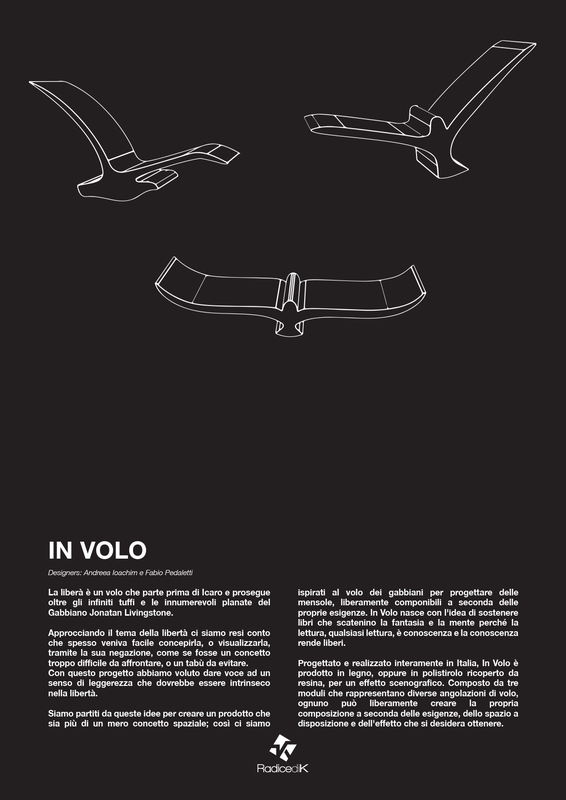 description: In Volo by Andreea Ioachim & Fabio Pedaletti. Set of shelves composed by three modules representing seagullshovering in the air. Flight as expression of freedom. Books as a means of elevation, inviting the reader to soar through the spaces of the mind, embark on voyages of the imagination, traverse universes of thought and possibility. 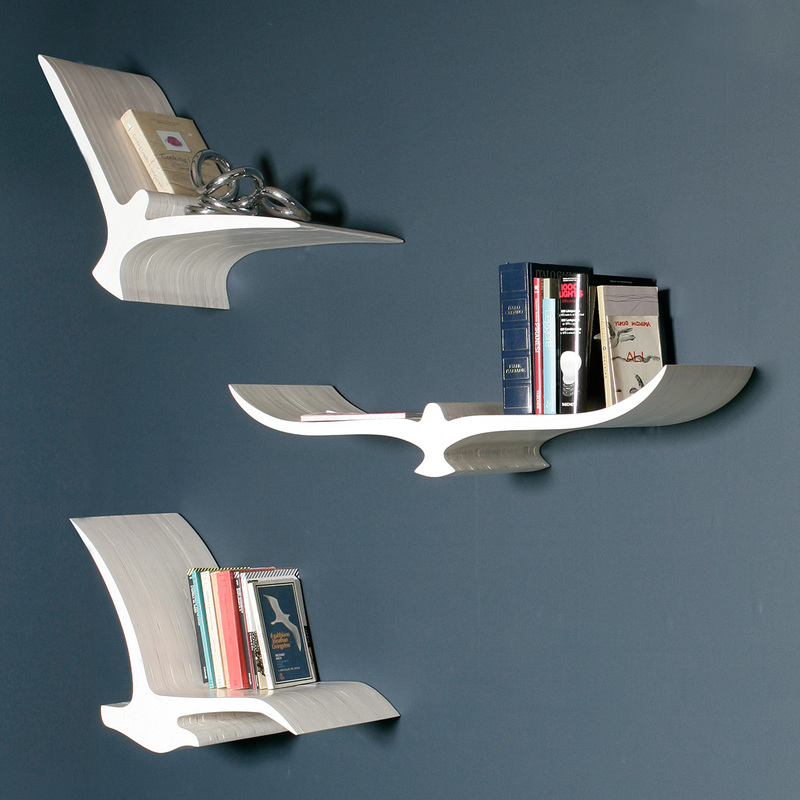 Combined, these two concepts yield a flock of free form shelves that are conceived of seagulls hovering in the air.